St Bernard and ???? SPAYED female, 10 years young and 75 pounds. MEET CALI--the shelter's Grande Dame! This senior dog is just WONDERFUL--she's so sweet and yes, adorable! We look her for a photo shoot and off leash romp, and fell in love. This gentle giant is a fan of belly scratches, and she rolls over and gives you the "look," and, well, that's it! You're under the spell of Cali! 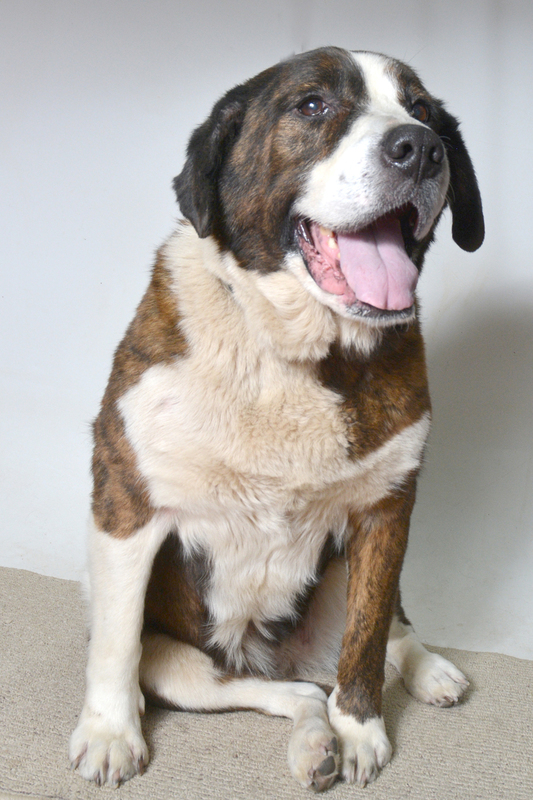 If you love big dogs, and have a special place in your heart for the older dogs--please come to the shelter and spend time with Cali. We're pretty sure you will be smitten, like all of us! Cali tested positive for heartworm, and we've begun her treatment. We would be overjoyed if she could find a forever home, or a temporary foster home, during her treatment.